Drivers will feel in total control of the roads when experiencing the 2017 Mazda6 performance. Between its loaded powertrain and precise handling, the Mazda6 is a joy to drive. We are ready to get you behind the wheel for a taste of this terrific sedan. Biggers Mazda has the Mazda6 in an assortment of trim levels with optional features you will be excited to explore. 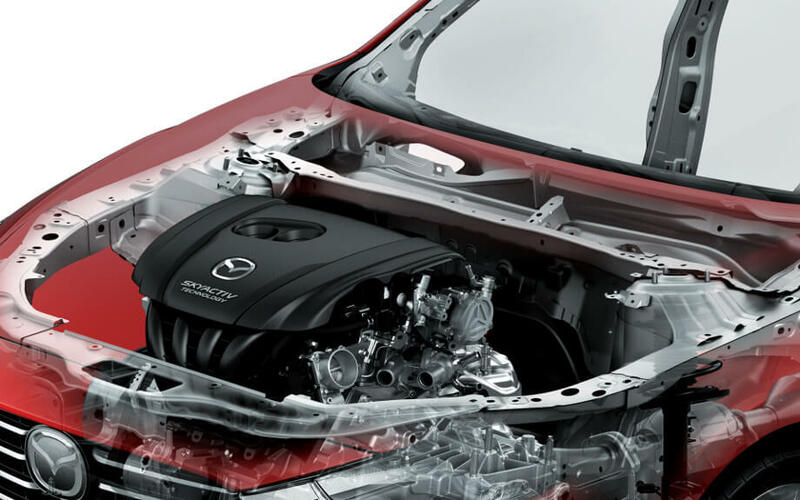 The Mazda6 has a powerful 2.5L SKYACTIV®-G 4-cylinder engine, producing a robust 184 hp and 185 lb-ft of torque. The standard configuration of front-wheel drive, variable valve timing, and direct-injection offers drivers the best of power and efficiency. The Mazda6 fuel economy is also noteworthy. The Sport trim with an automatic transmission produces an EPA-estimated 26 mpg in the city and 35 mpg on the highway. Manual transmission models generate an EPA-estimated 24 mpg in the city and 34 mpg on the highway. The Grand Touring with an automatic transmission reaches an EPA-estimated 26 mpg in the city and 35 mpg on the highway. With an automatic transmission with i-ELOOP, it has an EPA-estimated 27 mpg in the city and 35 mpg on the highway. 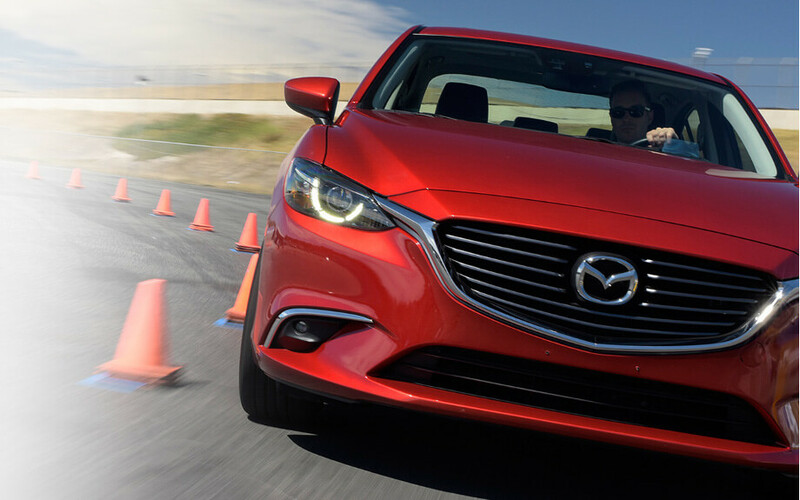 SKYACTIV® TECHNOLOGY was developed by Mazda to create a cleaner, more efficient drive without reducing top horsepower and torque. Because the system has a high compression ratio, it uses a higher percentage of fuel energy than competitors. You can also expect a rigid frame through the use of SKYACTIV® TECHNOLOGY—this makes turning and cornering easier than ever before. Mazda offers the choice for a classic 6-speed manual transmission, which delivers extra control while shifting. There is also a standard 6-speed automatic transmission for those who want to drive daily without worrying about the clutch. The Grand Touring trim has an automatic transmission with i-ELOOP. The i-ELOOP system improves fuel economy over the traditional automatic transmission. You can even enjoy a Sport Mode when you’re ready to take on the race track. The 2017 Mazda6 performance is everything that drivers want. 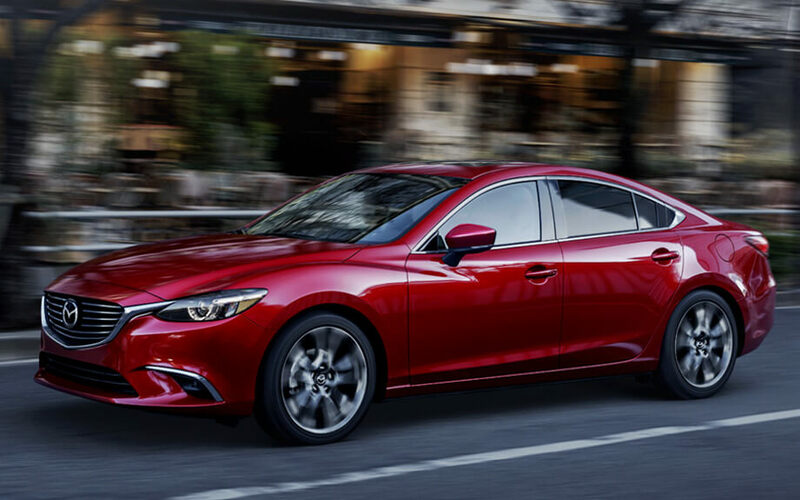 Performance is key to the Mazda6, and that is why it comes highly recommended by our experts. Discover even more of its features today at Biggers Mazda! Contact us online to book your test drive, and feel free to ask us any questions about its many features.